Kabov O.A., Lyulin Yu.V., Marchuk I.V. and Zaitsev D.V., Locally heated shear-driven liquid films in microchannels and minichannels. Int. Journal of Heat and Fluid Flow, 28, 103-112, 2007. Marchuk I.V., Lyulin Yu.V., Kabov O.A., and Legros J-C., Steam condensation on a non-isothermal extended Gregorig-Ademek surface. Journal of Engineering Thermophysics, 12, No 4, 383-397, 2003. Kabov O.A., Marchuk I.V., Glushchuk A., Lyulin Yu., Enhancement of vapor condensation in heat pipes, Proceedings of the 16th Int. Heat Pipe Conference, Lyon, France, May 20-24, pp. 1-14, 2012. Kabov O.A., Lyulin Yu.V., Marchuk I.V. and Zaitsev D.V. Locally heated annular liquid films in microchannels and minichannels. Proc. of ECI International Conference on Heat Transfer and Fluid Flow in Microscale, Keynote lecture KL6, publication on CD-ROM by ECI, Castelvecchio Pascoli, Italy, September 25–30, pp. 1-8, 2005. Gatapova E.Y., Lyulin Y.V., Marchuk I.V., Kabov O.A. and Legros J-C., The thermocapillary convection in locally heated laminar liquid film flow caused by a co-current gas flow in narrow channel, Proc. First International Conference on Microchannels and Minichannels, Ed. S.G. Kandlikar, April 24-25, 2003, Rochester, NY, USA, pp. 457-464 (2003). Lyulin Y., Kreta A., Kabov O., «Study of vortex flows induced by evaporative convection within liquid layer» 4th International Retreat on Vortical Flow and Aerodynamics (IRVA4), Novosibirsk, Russia, October 01-13, 2018. 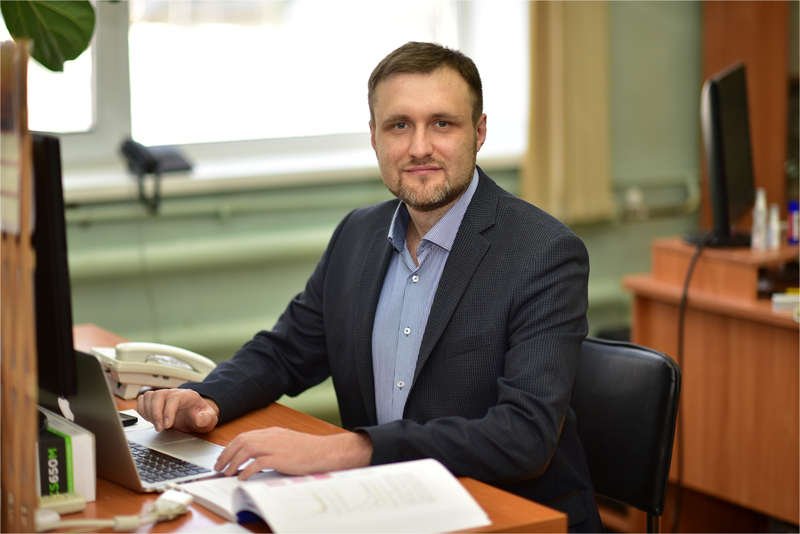 Marchuk I., Lyulin Y. and Barskii A., «Film Wise Vapor Condensation in Channels and on Curved Surfaces», 12-th International conference "Two-Phase Systems for Space and Ground Applications", Novosibirsk, Russia, September 11-15, 2017. Spesivtsev S., Lyulin Y., Marchuk I. and Kabov O., «Evolution of the deformation profile of a thin liquid layer when heated from a localized hot spot», 12-th International conference "Two-Phase Systems for Space and Ground Applications", Novosibirsk, Russia, September 11-15, 2017. Rezanova E. and Lyulin Y., «Modeling of the liquid and gas flows with evaporation at interface based on exact solutions», 12-th International conference "Two-Phase Systems for Space and Ground Applications", Novosibirsk, Russia, September 11-15, 2017. Lyulin Y., Kreta A. and Kabov O., «Experimental study of interfacial motion of a horizontal liquid layer evaporating into gas flow», 12-th International conference "Two-Phase Systems for Space and Ground Applications", Novosibirsk, Russia, September 11-15, 2017. Lyulin Yuriy, Kreta Aleksei, Bilsky Artur, Markovich Dmitriy, Kabov Oleg and Legros Jean-Claude. Convective flows study by PIV method within a horizontal fluid layer under the action of gas flow // International Symposium and School for Young Scientists INTERFACIAL PHENOMEN AND HEAT TRANSFER, Novosibirsk, Russia, 2-4 of March 2016. Marchuk Igor, Barakhovskaya Ella, Lyulin Yuriy and Kabov Oleg. Vapor condensation on curvilinear fins with condensate suction from the interfin space // International Symposium and School for Young Scientists INTERFACIAL PHENOMENA AND HEAT TRANSFER, Novosibirsk, Russia, March 2-4, 2016. Marchuk Igor, Barakhovskaya Ella, Lyulin Yuriy, Kabov Oleg, Legros Jean Claude. Numerical Modelling of Thermocapillary deformation and dry spot formation in a locally heated thin horizontal volatile liquid layer // International Symposium and School for Young Scientists INTERFACIAL PHENOMENA AND HEAT TRANSFER, Novosibirsk, Russia, March 2-4, 2016. Spesivtsev S.E., Lyulin Yu.V., Marchuk I.V., Kabov O.A. Thickness measurement in a horizontal spot-heated liquid layer // 11th International Conference on Two-Phase Systems for Space and Ground Applications, September 26-29, Marseilles, France. Spesivtsev Serafim, Lyulin Yuriy, Marchuk Igor, Kabov Oleg, Legros Jean Claude. Thermocapillary breakdown of a horizontal spot-heated liquid layer // International symposium and school of young scientists Interfacial Phenomena and Heat Transfer IPHT-2016, March 2-4, 2016, Novosibirsk, Russia. Yu.V. Lyulin, S.E. 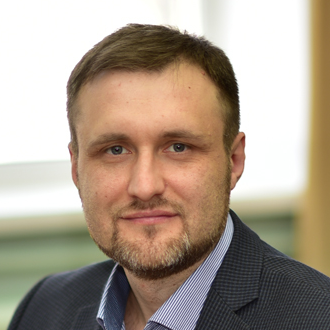 Spesivtsev, I.V. Marchuk, O.A. Kabov, J.C. Legros, Breakdown dynamics of a horizontal evaporating liquid layer when heated locally // ISHM-III, 08-09 October 2015, Novosibirsk, Russia, 1p. Goncharova O., Lyulin Yu., Rezanova E., Kabov O. Convective fluid flows with evaporation: analytical, numerical and experimental investigations. Ninth International Topical Team Workshop on Two-Phase Systems for Ground and Space Applications, Baltimore, Maryland, USA, September 22-26, 2014. Book of Abstracts. P. 79. Lyulin Yu., Goncharova O., Feoktistov D., Kuznetsov G., Kabov O. Experimental rig for investigation of evaporation process in a horizontal liquid layer under shear-stress gas flow// Eighth International Topical Team Workshop on Two-Phase Systems for Ground and Space Applications, Bremen, Germany, September 17-19, 2013. Book of Abstracts. Rodrigo Carpy, Gеrold Piсkеru, Vinсеnzo Messina, Stеfanо Carliuo, Hans Ranеbo, Balazs Toth, Olivier Minster, Jаn Dettmann, Josеf Wintеrb, Frank Dubois, Carlo S.Iоrio, Piеrrе Colinеt, Sam Dеhaеск, Oleg Kabov, Yuriy Lуulin, Closеd Lооp Еvapоrating Tests With HFЕ 7100 for thе Еvaporation Pattеrns (CIMЕх) Ехpеriment of the ISS // Eighth International Topical Team Workshop on Two-Phase Systems for Ground and Space Applications, Bremen, Germany, September 17-19, 2013. Book of Abstracts. Kabov O., Marchuk I., Glushchuk A., Lyulin Yu., Enhancement of vapor condensation in heat pipe, Keynote lecture, Proc. of 16th International Heat Pipe Conference (16th IHPC), Lyon, France, May 20-24, 2012. Grishaev V., Lyulin Yu., Chikov S., Kabov O. Anti-wetting barrier for the CIMEX-1 experiment measurements of the evaporation flow rate of HFE-7100, ELGRA Symposium, 5 - 9 September 2011, Antwerp, Belgium. Lyulin Yu., Iorio Carlo S. and Kabov O. Liquid in an open cavity under shear stress gas flow, ELGRA Symposium, 5 - 9 September 2011, Antwerp, Belgium. Lyulin Yu., Marchuk I., Kabov O., Theoretical and experimental study of gravity variation effect on pure vapor in-tube condensation, 92th Eurotherm Seminar on Gravitational Effects on Liquid-Vapor Phase Change, Presqu’ïle de Giens, France, April 17-21, 2011. Gatapova E.Y., Lyulin Y.V., Marchuk I.V., Kabov O.A. and Legros J-C., The thermocapillary convection in locally heated laminar liquid film flow caused by a co-current gas flow in narrow channel, Proc. First International Conference on Microchannels and Minichannels, Ed. S.G. Kandlikar, April 24-25, 2003, Rochester, NY, USA, pp. 457-464, 2003. Lyulin Y., Kreta A., Kabov O., «Study of convection in an high-evaporating liquid layer by the PIV technique», IV All-Russian workshop panoramic methods for flow diagnostics, Novosibirsk, Russia, 19-22 June, 2017. Invited. (in Russian). Kabov O.A., Goncharova O.N., Iorio C.S., Lyulin Yu.V.. Fluid and gas vortex flows near an interface region with intensive evaporation, 4th Int. Conf. Heat Transfer and Hydrodynamics in swirl flows, 18-20 October 2011, Moscow, Russia. Kabov O.A., Fluid and gas vortex flows near an interface region with intensive evaporation, keynote lecture, 4th Intern. Confer. “Heat- and Mass- Transfer and Hydrodynamics in the swirled flows”, 18-20 October, 2011, Moscow, Russia, Coauthored by Goncharova O.N., Iorio C.S., Lyulin Yu.V. Lyulin Y., Marchuk I.V., Chikov S., Dubois F. and Kabov O.A., The Effect of Gravity on Vapor Condensation in a Smooth Circular Tube, Fifth International Topical Team Workshop on Two-Phase Systems for Ground and Space Applications, Kyoto, Japan, September 26-29, Book of Abstracts, pp 39, 2010. Yuriy Lyulin, Igor Marchuk, Sergey Chikov, Frank Dubois and Oleg Kabov Vapor Condensation in Smooth Tube. Fourth International Topical Team Workshop, Novosibirsk, Russia, September 6-9, 2009. Lyulin Yu.V., Zaitsev D.V., Fedyashin P.V., Marchuk I.V., Kabov O.A., Shear-driven liquid film under local heating, Proc. of All–Russian Conference with Foreign Participants “Free Boundary Problems: Theory, Experiment and Applications”, July 4–8, 2005, Biisk, Russia.